There are plenty of books available in PDF, and you need to find the best option to read them on your Mac. The built-in Preview app does a solid job of viewing PDF documents, but it’s not the best choice for a deep dive into a long book. 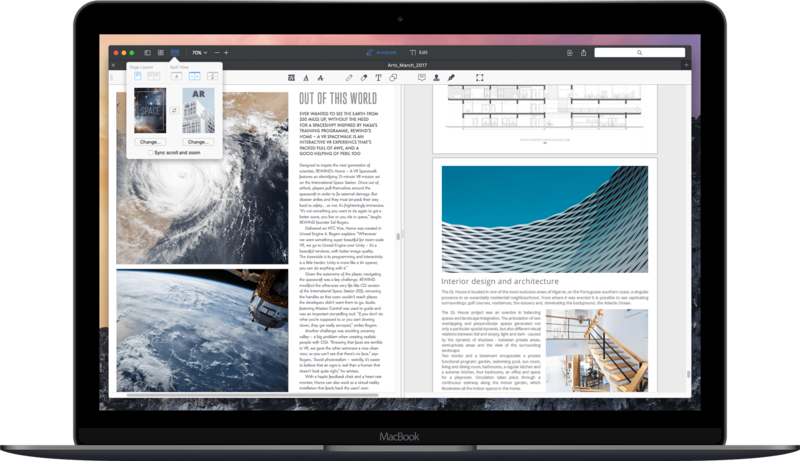 When it comes to bookmarking, navigating, and annotating a book, PDF Expert is the best PDF reader for Mac. Here are the tips to improve your reading experience on Mac. Remember the last time you had to read multiple PDFs in the built-in Preview app. Every file opens in a separate window making it hard to switch between different PDFs. Surely, you can dig in the menu and find the option to merge all windows. But it won’t prevent the next file you open to appear in a new window! Use PDF Expert to jump between multiple documents without tears. Drag and drop a file to PDF Expert, and it appears in a separate tab. 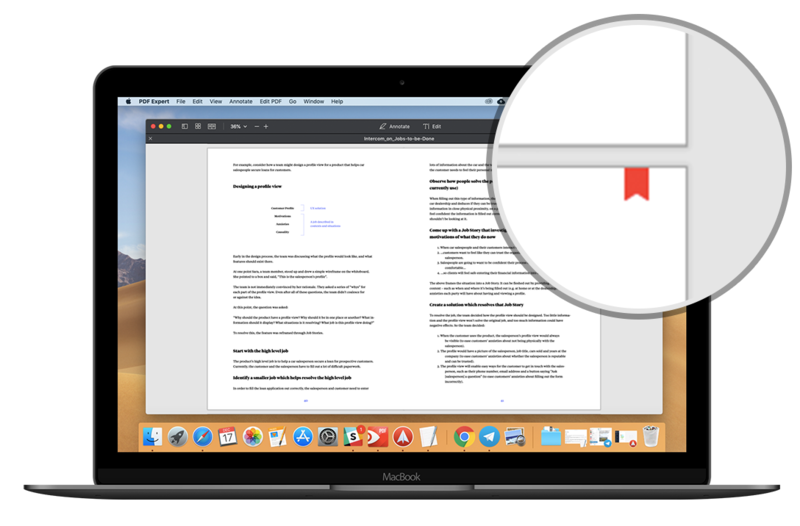 For more ways to open PDF files, check out our article "How to open a PDF on Mac." The tabbed view is a terrific way to have all the needed books at your fingertips without cluttering the screen with numerous windows. Press Ctrl + Tab to quickly navigate between your PDFs. And you can easily rearrange tabs with drag & drop. PDF Expert can display a single page at once or show two pages side by side. Reading with the two-page layout is the most natural way to enjoy magazines – it feels like they are on real paper! Books with lots of graphs and illustrations are easier to read in the two-page layout as well. Click on the top toolbar and select the page layout you wish. Tick Show first page alone if you read a book in a two-page layout. Alternatively, you can click on the View menu at the top and choose one of the options to read your document: Single Page, Two Pages, or Two Pages But First Single. Your eyes won't be pleased when you read from a bright Mac screen at night. 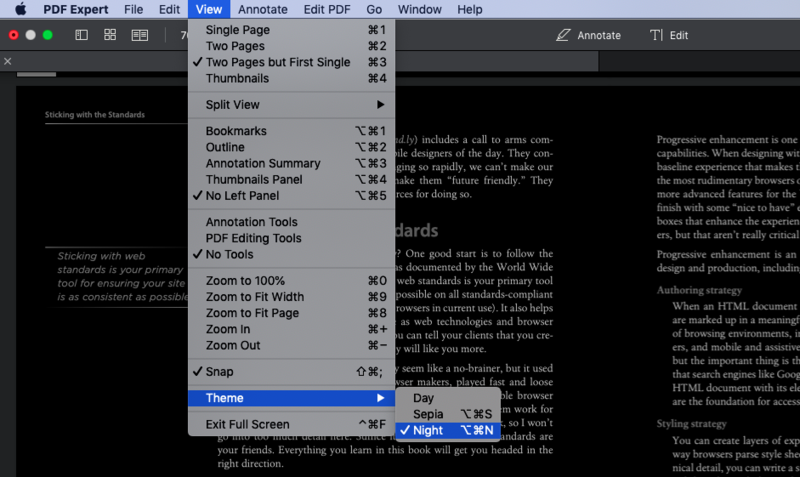 If you frequently read in a poorly lit environment, try the night theme to reduce eye strain. Select the View menu > Theme and choose one of the three options. The Day theme is the default. The Night theme inverts colors and shows light text on a dark background. The Sepia theme makes your document look like an old book with yellow pages. Avoid extra scrolling by using an outline or a table of contents. This is the quickest way to jump between different chapters. To access the table of contents, click on the top toolbar and select the Outline tab. Here, you can see a document’s structure and navigate your PDF file easily. Don't worry if there's no table of contents in your PDF book. You can create it in PDF Expert! Check the article "How to create outlines in PDF file" for a quick tutorial. There is no possibility to dog-ear a PDF book page, but you can quickly bookmark the most interesting pages in PDF Expert. Hover the cursor over the top right corner of the page to see a little neat bookmark. Click on it, and the page is saved! To see the list of your bookmarks, click on the top toolbar and open the Bookmarks tab. Click on the bookmark to jump to the corresponding page. Now, you can easily find the most important parts of the book! 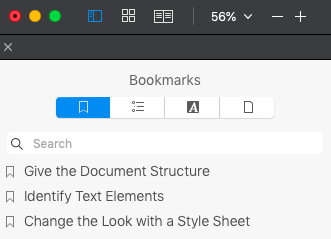 You can rename your bookmarks to navigate them more efficiently. Right-click on the bookmark and choose Edit. To reorder the bookmarks, use drag & drop. When you have a lot of bookmarks, you can quickly find the needed one using the search. This is the feature paper books lack! Click on the search field under the Bookmarks tab, type your query and hit Enter. As you're able to rename the bookmarks and search through them, you can create your own bookmark system. You can briefly summarize the page's main page idea in a bookmark name or just write a new concept or term you found on the particular page. Bookmarks seem like a simple tool, but they can greatly improve your reading experience! No matter why you read – for school, work, or just for pleasure – annotating a book is a great way to understand and remember its key points. Get the most out of every book to become the best in class, boost your professional skills, or enjoy your favorite prose on a much deeper level. PDF Expert offers a great variety of annotation tools. This reader allows you to highlight and underline text with different colors, draw on your book, type in the margins, add sticky notes, shapes, and stamps. These tools are powerful but easy to use. Click on the Annotate icon on the top toolbar and start experimenting! You can find more details about each annotation tool in our article "How to annotate PDFs on your Mac." PDF Expert is a great reader for Mac which makes working with PDFs fun and comfortable. Download the free trial and enjoy PDF books!